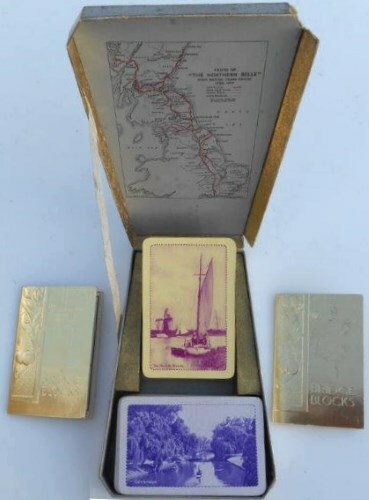 Lot 155A 1930's - WADDINGTON'S PLAYING CARDS - Official Presentation Pack Containing Two complete pack of Playing Cards together with two books of Bridge Scoring Sheets. Produced in conjunction with "CRUISE OF THE NORTHERN BELLE - THE FIRST BRITISH TRAIN CRUISE JUNE 1933". A rare survivor in very good condition.